BasicForm is designed and built for customers who process simple parts and do not need to run their press brake for more than a couple of hours a day. 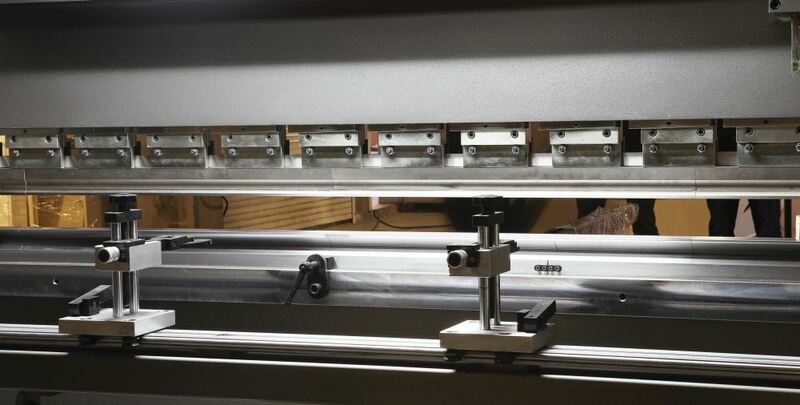 Easy to use control and simple operation of BasicForm makes it convenient for customers who require a budget solution for their simple bending requirements. 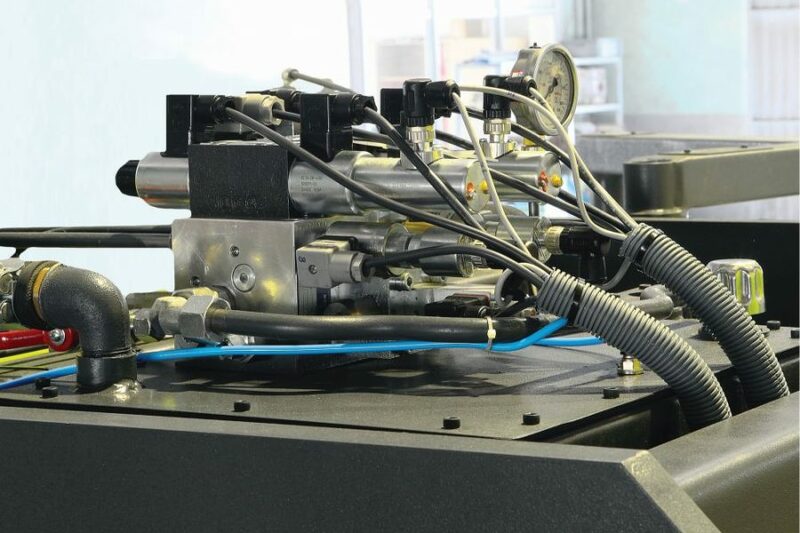 BasicForm is an entry level press brake but by sharing the same modular structure with AdvanceFab, it makes no compromise on quality, consistency and dependability. 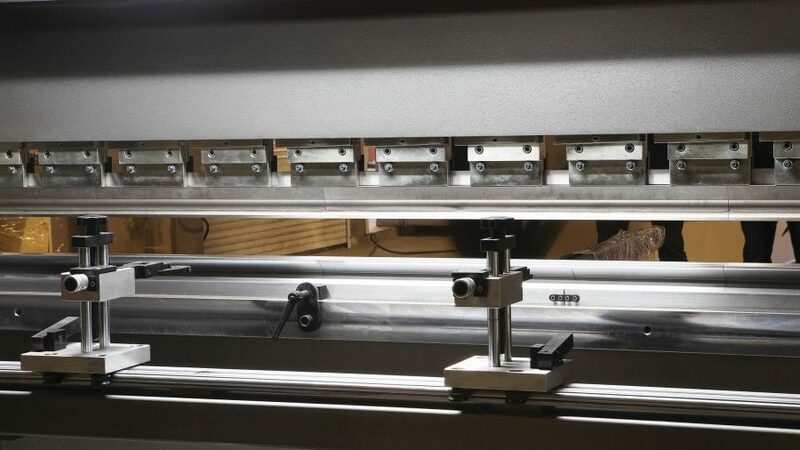 Customers that choose BasicForm will enjoy a large throat depth, high stroke and daylight for deep box bendings, dependable hydraulic system and high precision linear scale system. 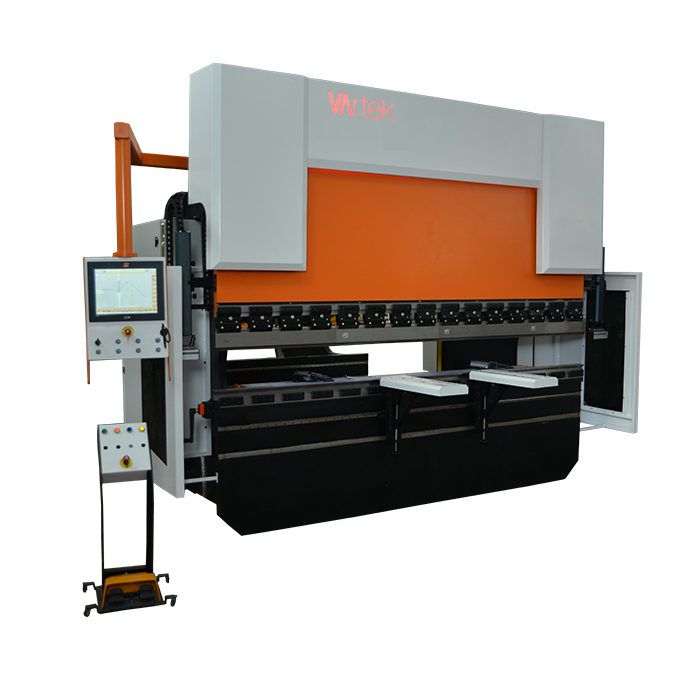 BasicForm comes with NexT 1.0, easiest press brake control you can find in the market for basic forming needs. 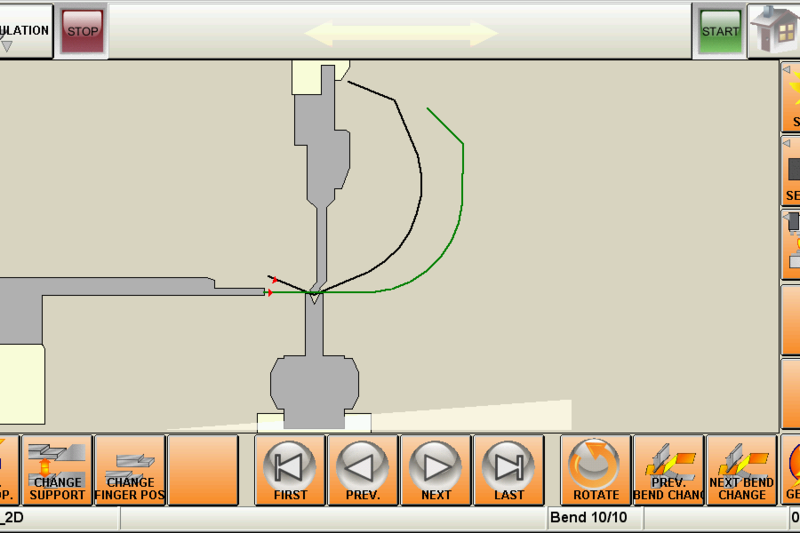 In a single, well designed screen, you can input all your flange lengths and angles to create a part program. BasicForm can be equipped with a hand operated bed crowning system on demand that ensures even angles along the full length of the bed. 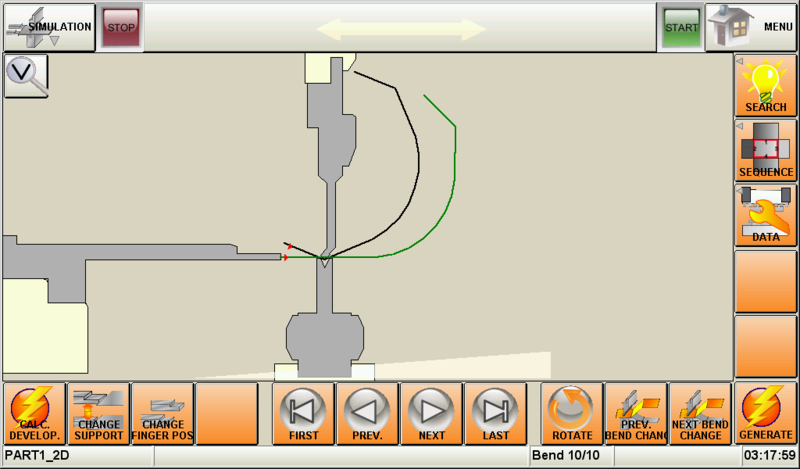 A single axis (X) backgauge running on ballscrews helps you to gauge your part precisely. 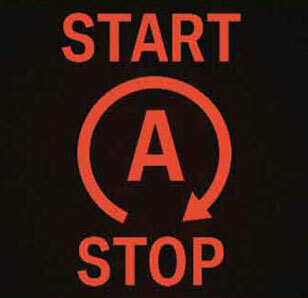 Auto stop-start function stops all the electric motors when the machine is left idle for a specified time and starts right back when the pedal or start button is pressed. Rigid frame designed on SolidWorks with stress and deflection analysis, welded by certified welders and machined to 0,01 mm precision in single piece. NexT 1.0 10″ touchscreen control with graphic visualization. 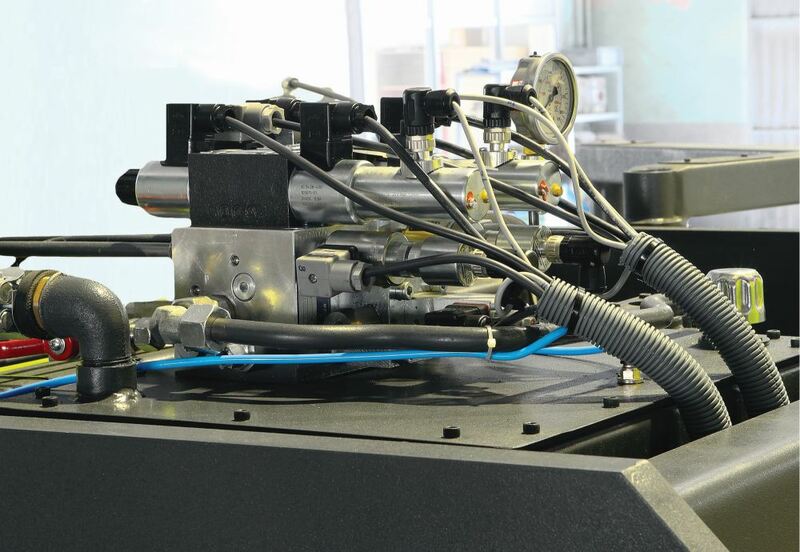 Dependable servo hydraulic system provided by Hoerbieger. Y1-Y2 synchronized hydraulic cylinders running on dual ram guides on each side for smooth ascend and descend. Single axis backgauge (X) with manual height adjustment, running on ballscrews for maximum accuracy . European die holder with quick change mechanism. Full length precision ground and hardened punch and 4V die set. High stroke and daylight for deep box/panel bending. 500 mm throat depth to utilize full length and deep bends. High resolution linear scales with an accuracy of 0,01 mm for precise bending. Front support arms sliding on linear guides to easily gauge small parts. Front laser guards for finger protection. Manual crowning of die bed for even angles along full length of bend. Automatic crowning of die bed for even angles along full length of bend. Custom design throat, stroke and daylight. Large selection of punches and dies. European style quick release punch clamping to quickly setup required tools. European style manual die holder and 4 v die. This feature not only reduces your electric bill and help save the environment but also prevents the hydraulic oil from reaching high temperatures therefore keeps the angles consistent from the start of the day to the end.